Mr. Diers grew up in Boulder, Colorado and after high school served 4 years as infantryman in the United States Marine Corps. Upon his discharge, he moved to Grand Junction in 1981 where he earned degrees in forestry and biology at Colorado Mesa University. In 1987 Mr. Diers earned his teaching certification from Colorado Mesa University and began his teaching career at Cedaredge High School. He taught biology and mathematics as well as being the girls’ basketball coach and baseball coach for thirteen years. During that time Mr. Diers earned a master’s degrees in biology and a second master’s degree in secondary education administration from Adams State College. In 1999 he was hired as an assistant principal of Palisade High School, a position he held for 5 years before being selected and serving 10 years as Principal of Palisade High School. 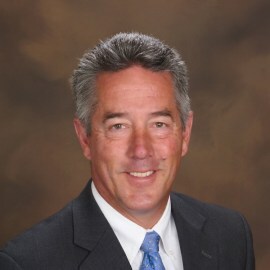 Mr. Diers now is in his third year as Executive Director, Secondary Education for Mesa County Valley School District.